Visit Stunning, Secluded Beaches, Accessible Only by Boat. Who hasn’t daydreamed about having a private beach all to themselves? It’s the ultimate in luxury, and it may seem like an impossible dream. Until now! 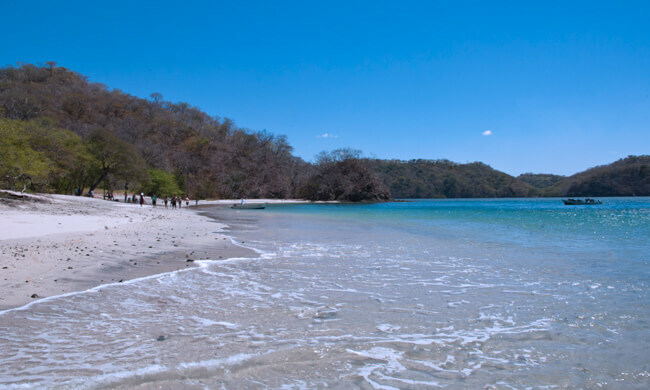 The hidden beach tour takes you on a private boat tour to several beaches in the colorful, rich waters of the Papagayo Gulf. You will visit stunning, secluded beaches, accessible only by water. Their clear waters and white sands make them perfect for snorkeling, or you can explore different vistas and hidden caves. While you’re snorkeling, swimming, or just enjoying your drink and relaxing on the beach, our chef will prepare a delicious barbecue. Special rates apply to Villa Buena Onda guests. Rates may change depending on destination.